collecte urgente de dons s'il vous plait ! Since the age of two, our little boy Jules has been battling chronic Lyme disease and the additional severe and complicated infections that have come with it. He is now 9 years old. 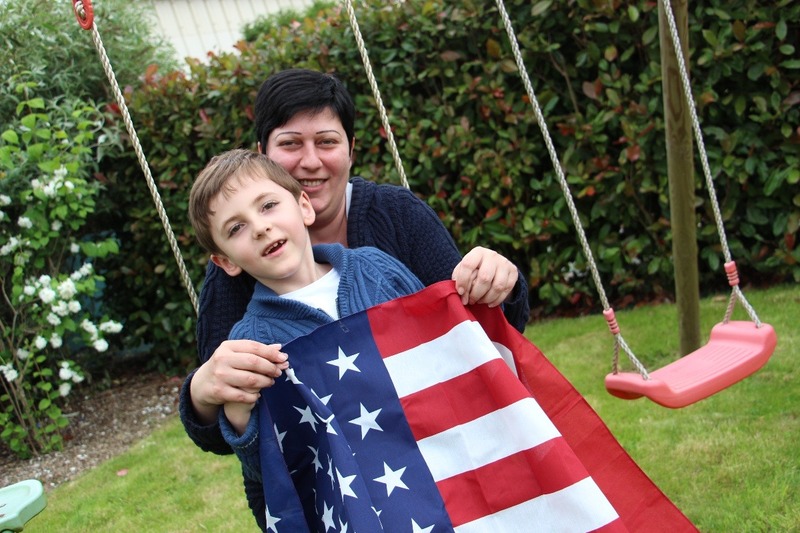 Our family is based in France and now travels regularly to the US to get Jules a treatment. After several years of intensive searches, the care provided by Dr Kenneth Bock from Red Hook NY, has generated the best results on our son. We are looking for financial support to pursue this treatment. The overall cost is $240,000 ($20,000 per stay, 6 medical trips per year, 2 years of treatment). This disease has left Jules very sick and disabled with motor impairments and a complete loss of language since the age of 2. It has also considerably weakened his immune system and opens the door to many co-infections such as bacterial and parasitic disease or virus). Jules’condition will eventually lead to serious pathologies that the medical body now calls Evolutionary Syndrome Associated with Chronic Intracellular Infections. Lyme Disease is killing little Jules and stealing his life. We attempted to treat him in France and in Europe but our attempts did not manage to improve his condition and to reduce his pain. At some point, we got tired with the lack of local support and started looking outside of France and Europe to search for treatments or solutions. Durant l’été 2016, les médecins nous ont orienté vers les Etats-Unis, seul pays au monde à reconnaître la maladie sous cette forme et où la recherche et les traitements ont progressé ces dernières années, nous consultons le Dr Bock, dans l'Etat de New-York (Bock Integrative, Red Hook, NY 12571). A 9 ans, enfin, Jules va mieux ! les traitements américains marchent ! Le problème c’est que chaque séjour médical coûte 20 000 € (20 % pour le voyage et 80 % pour les traitements de Jules) et nous devons y aller tous les 2 mois pendant quelques années soit par exemple pour 2 ans de traitements : 240 000 euros ! During the summer 2016, the medical staff told us about some clinical experiences in the United States, which is one of the only country to recognize the Lyme Disease as a severe condition. The US is also the only place where clinical trials and treatments have showed encouraging results over the past few years. Now 9 years old, and after 6 round trips to the US, Jules is doing better thanks to the care of Dr Kenneth Bock MD. BOCK INTEGRATIVE is based in RED HOOK, NY 12571, they have developed over the years an interesting expertise in the care of Lyme Disease. The issue for our family is obvisouly the cost of such treament. Each trip costs $20,000 ; including travel costs (20%) and medical bills (80%). Since we need to travel there every two months so Jules condition stays stable, the overall medical bill is simply going to be expensive. C’est pourquoi nous avons besoin de vous plus que jamais ! Chaque geste compte ! Il n’y a pas de « petits dons » mais uniquement « des grands cœurs » ! Until things change in France, our only chance of paying this treatment is to raise funds through friends, families and various networks. Please give if you can, share (even if you can't give), and also pray! Hélène & Fabrice, Jules parents.